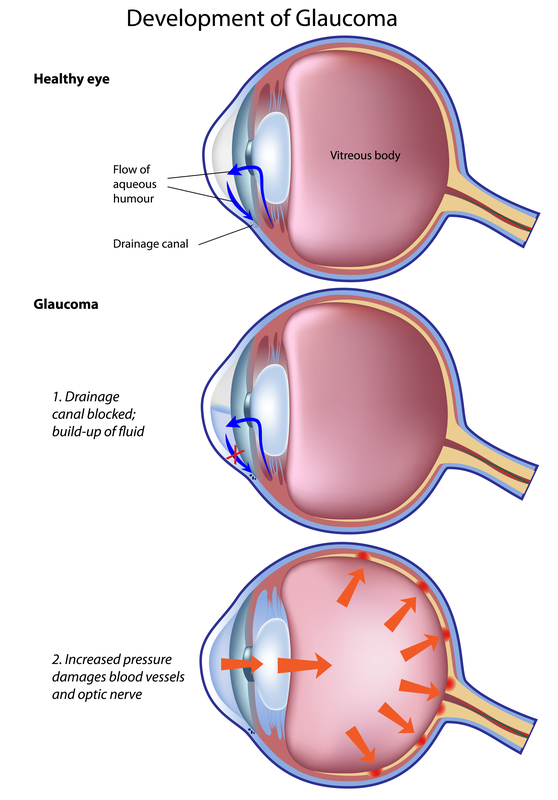 Glaucoma is an eye disease caused by damage to the optic nerve occurring from eye pressure (not blood pressure). This disease can cause permanent loss of side vision that can lead to blindness if not treated. Glaucoma is the second leading cause of blindness worldwide and millions of people in the world go blind from it every year. While there is no cure for glaucoma, it can be controlled with routine, lifelong eye care, and West Michigan Eye & Laser has the latest technology to best serve our patients with each and every step of glaucoma detection and management. Our mission is: Detect. Educate. Preserve. Through technology such as our Cirrus HD-OCT 5000, Humphrey Matrix 800, and Humphrey HFA II-i we can detect glaucoma at the earliest possible stage. After initial detection we are committed to educating our patients on their options for managing the condition and maintaining their best possible vision. Finally, our doctors have access to the most advanced laser technology, offering better options for long term glaucoma management. The main goal of glaucoma management is to prevent vision loss by lowering intraocular pressure. This requires regular attention. Techniques for lowering intraocular pressure include pharmaceuticals, laser and/or surgery. West Michigan Eye & Laser offers patients greater freedom from daily medication through treatments such as Lumenis Selecta II SLT Laser. This laser treatment is painless and typically lasts 1-5 years with safe options for future treatment throughout the patient’s lifetime. To learn more about glaucoma click here. If you are at risk for glaucoma, please contact us for an examination.